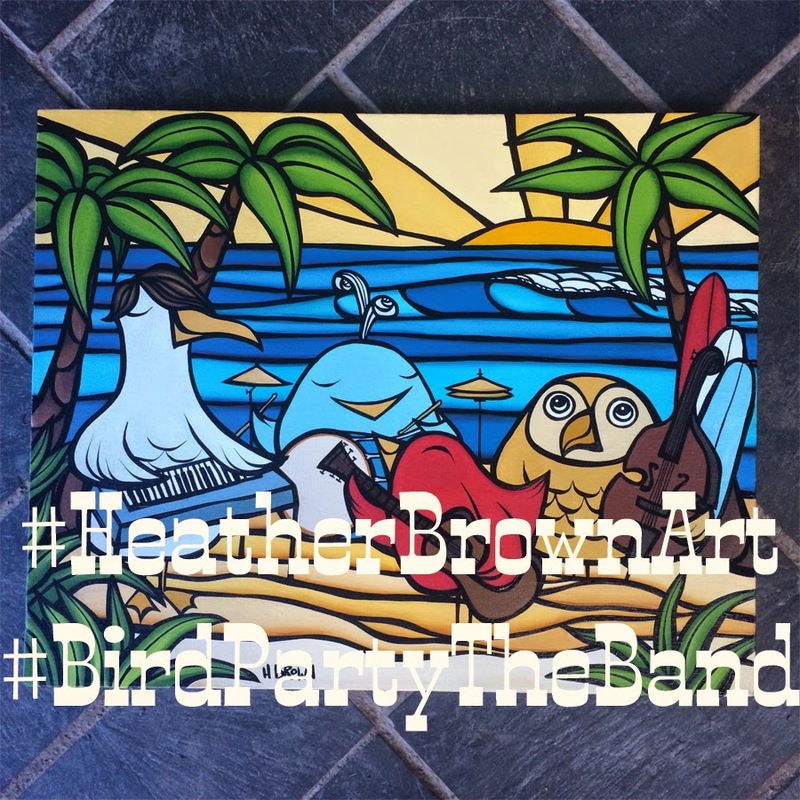 Heather Brown X Bird Party The Band Wood Panel Print Contest! We are having a fun contest over on my Facebook page to win an exclusive wood panel print of "Bird Party The Band" chilling on the beach in Waikiki! Go check it out for your chance to win this weekend! We just have been releasing the new pieces that are UV printed for extreme durability on wood panels that are made and printed by The Captain. I have been long them so much as they show my art in a different way, you still can see some of the texture and wood grain which makes every piece unique in its own way. 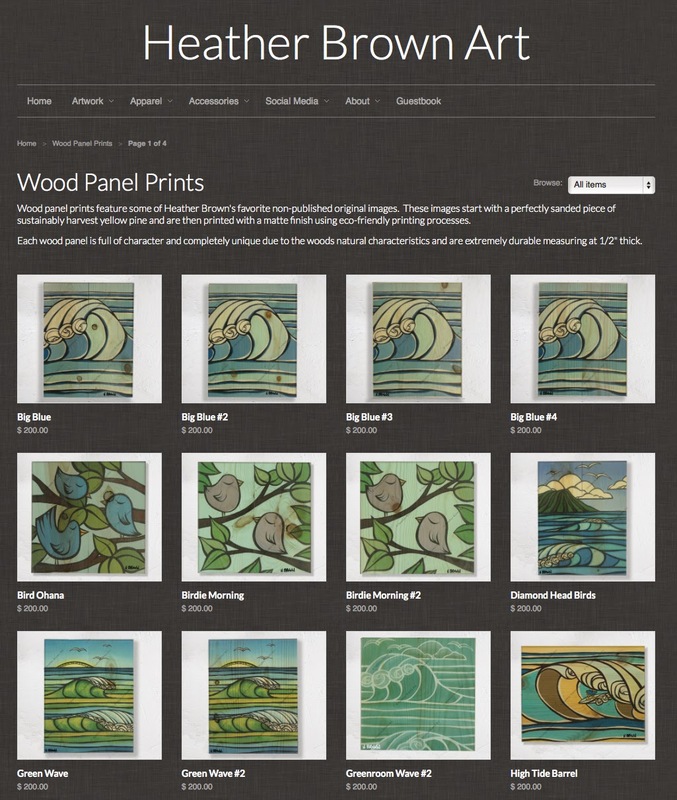 You can check out some other titles I have available currently on these great wood panels too on my website HERE These surf art and hawaii art wood panel prints of Heather Brown Art are ready to ship out immediately to your home anywhere around the world. Mahalo and have a great weekend! !